Peter Dench: “drinkUK” examines the alcohol-fueled social lives of the British (PHOTOS). 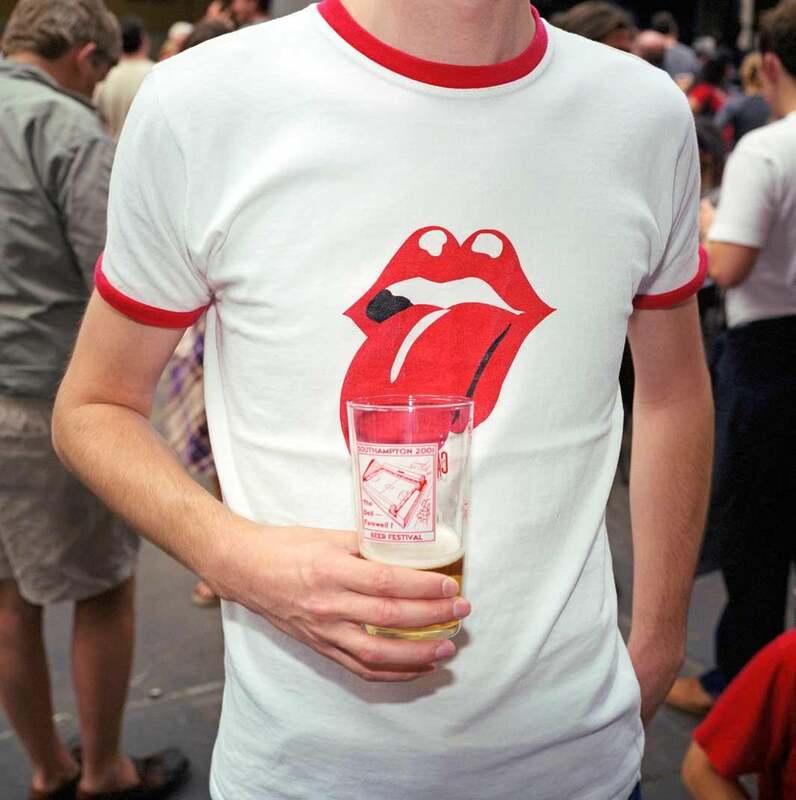 A visitor at the Great British Beer Festival, held annually in London. When Peter Dench was 11, he tried his first beer. Both his parents worked at Devenish Brewery in Weymouth, a seaside town in Dorset, England. Once every couple of weeks, Dench’s father would receive a crate of bottled beer, and if Peter did his chores, there was a chance he would be given a bottle. Otherwise, he would get up in the morning before everyone else and finish off what the adults didn’t drink from the previous evening. It marked the beginning of his participation in the world of alcohol. Over the years, Dench has carved out a successful photography career, one that has taken him to more than 50 countries on assignment. He has also created series unique to the United Kingdom that highlight common threads found there, including rain (“rainUK”), love (“loveUK”), and the multicultural fabric of London (“ethnicUK”). But the first series Dench created about his countrymen was “drinkUK” (originally called “Drinking of England”) in 2000. He received partial funding from the Independent Photographers Group and spent three years documenting what he said on his website is “a nation of binge drinkers.” The series also examines the ways in which drinking has created social problems. It earned Dench a World Press Photo Award in 2002. 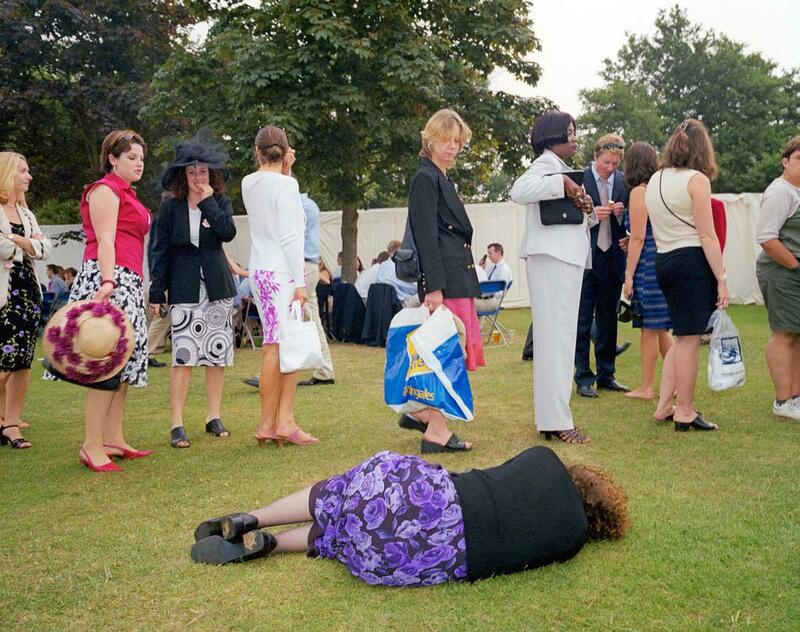 A woman lies on the grass next to a queue for the toilet at the Henley Royal Regatta. 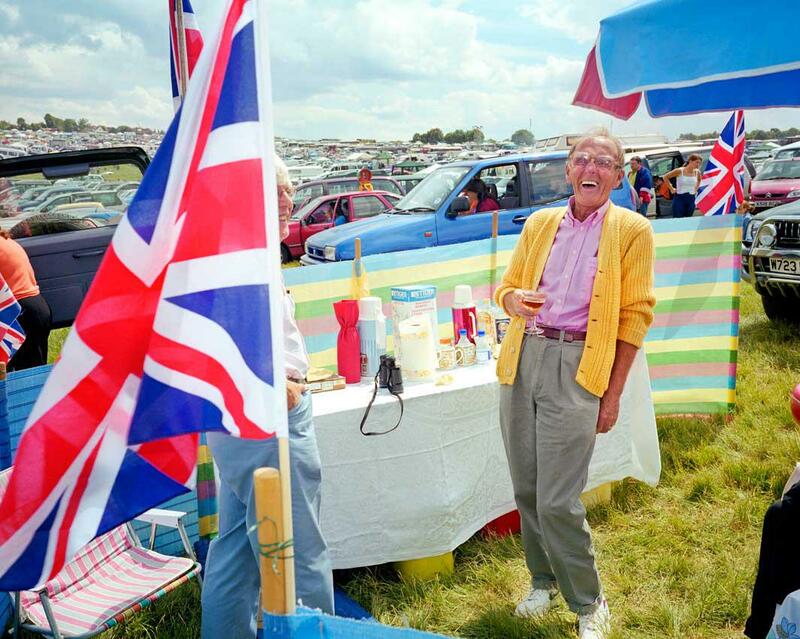 A man laughs during a picnic in the car park on derby day at the Epsom horse race festival. 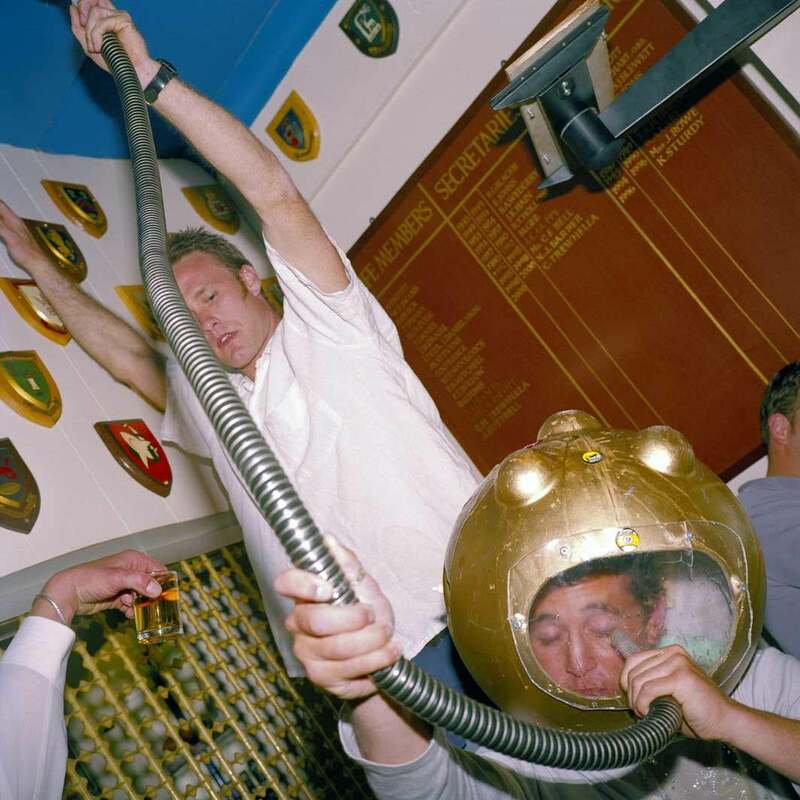 A young man drinks a pint of Guinness and some whiskey wearing a deep-sea-diver-themed beer bong at a wedding reception in St Ives. Getting the photos for the series did have some complications, since Dench shot it with a medium-format camera and flash, which meant he couldn’t do anything on the sly. Dench said he is “like a lot of photojournalists [who] have an appetite for alcohol” and ended up having a pint with many of the people he photographed. Once they were accustomed to having him around, he would take the photographs. Although many of the images capture a fun or amusing side of drinking, Dench doesn’t deny the potentially dark consequences. “The English are drinking younger, longer, faster, and more cheaply than ever before,” he said. 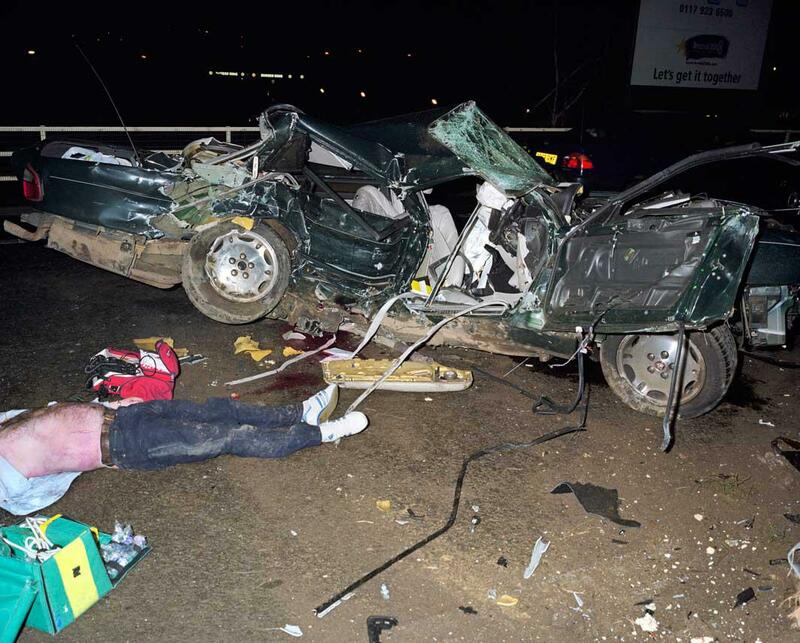 To document the perils of drunk driving, he spent a night on patrol with paramedics who were called to an alcohol-related traffic accident. Dench said the photograph he took and included in the series often catches people off guard after looking at a series of somewhat lighthearted images, but it gives a glimpse into the real-world consequences of drinking culture. 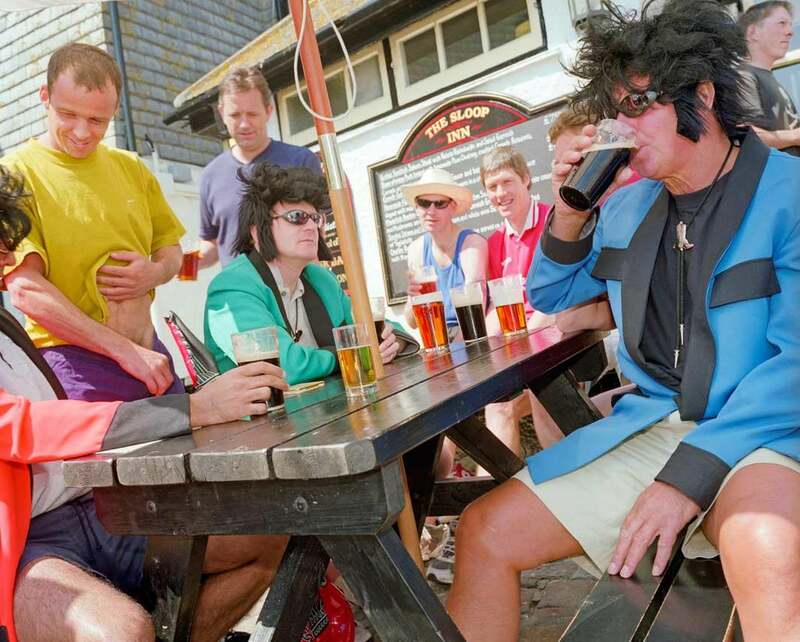 A group of friends outside the Sloop Inn Pub in St Ives. 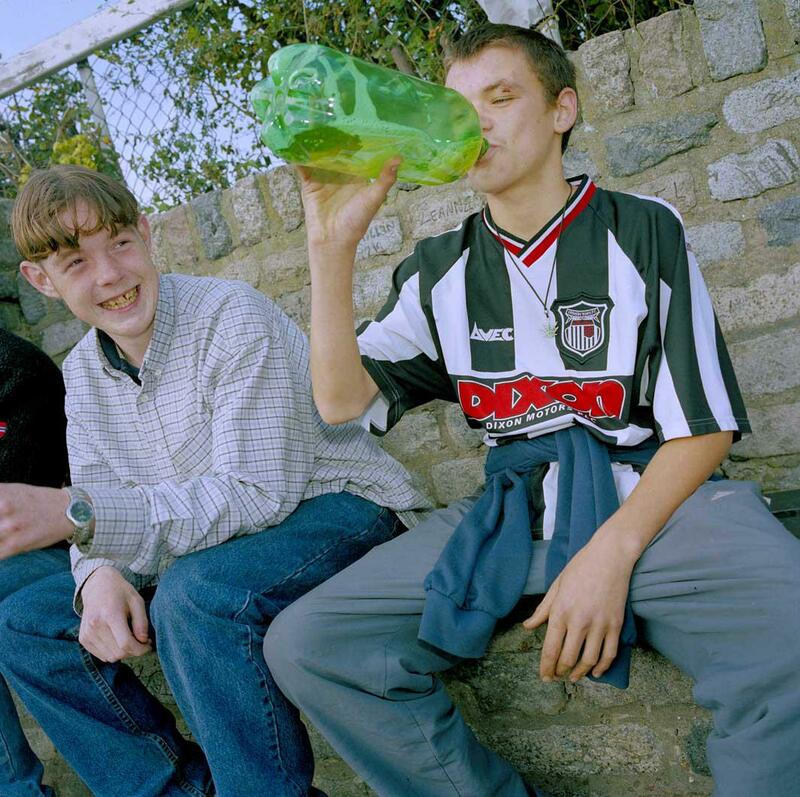 Daniel (left) and his friend Smudge drink cider while waiting to see which girls arrive on the buses into Cleethorpes. A woman drinks with friends alongside a man she doesn’t know in a bus stop shelter outside Ascot Racecourse on Ladies’ Day. 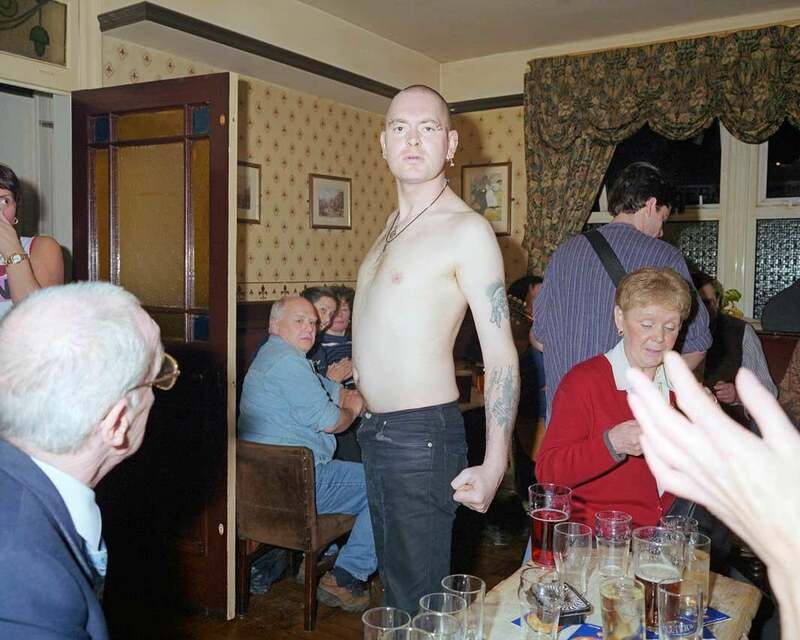 A man postures for the camera in a pub in Bacup, Lancashire. An alcohol-related traffic accident near Bristol.